Life has changed so much for me (and my family) in the past 2 1/2 years that I really need this time to focus on being a better me. So with that being said, I'm organizing my time and I'm going to be slowing down a little. 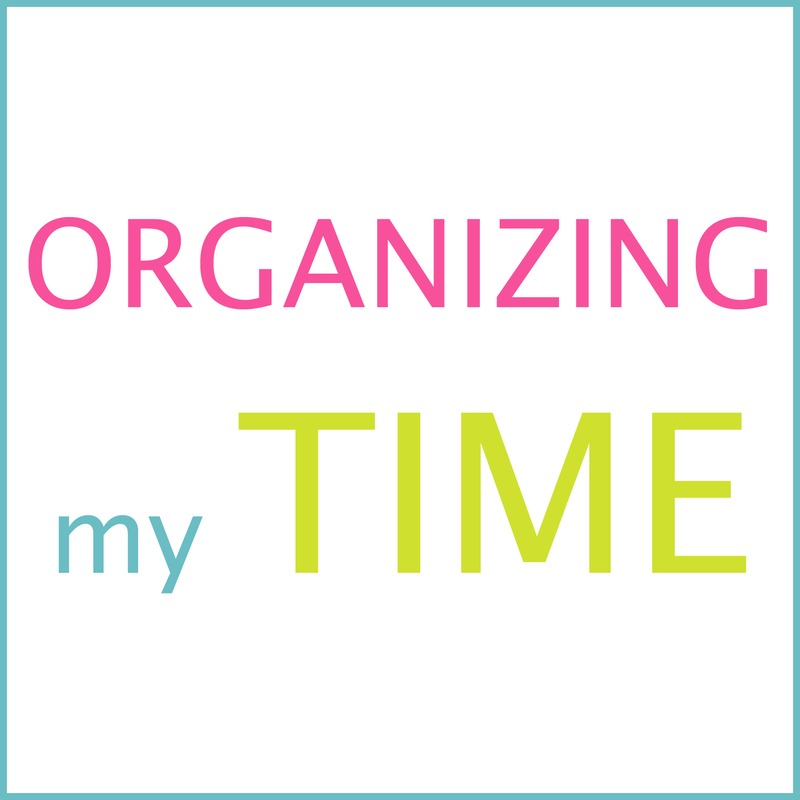 I started the monthly organization challenge in January, tackling our papers that month. Then February comes along and during last month I challenged you (and myself) to get your photo's organized. While organizing my photo's I realized how quickly my boys are growing up. They aren't babies anymore. My oldest will be a teenager this month! (eeks.. teenage years!) Time is just going way too fast! After realizing this, I've concluded that I absolutely, positively NEED to organize my time a little better (I haven't been very good about that) and right now, I just need to focus more on being the best mom and wife that I can be. You see, I am a go-getter. Many times to a fault. When I set my mind on something I just do it and I don't really stop until I've completed it to my satisfaction (which is typically a pretty high standard.) That's what I've been doing with this blog. I have an idea and I go with it AND I don't stop until I am happy with the outcome. By then, I've already got another idea that I begin working on and so on and so forth. Spending WAY too much time in my office. Don't worry, my blog will still be up and running, as will my shop, and actually I'm in the process of opening up a NEW online shop. (I'm hoping to have it up and running shortly.) I will still be offering printables, but they will be a little lower priced and you will get the download instantly! I'm really excited about the new shop and I can't wait to open it. I'm almost ready for the grand opening AND I have some really cool, new things that I've been working on. I will not be hosting the Delightfully Inspiring Thursday Party anymore either. I will continue to post on organizing and decorating or share creative ideas with ya'll. I will not put pressure on myself to post 1-2 times a week. It'll be more like when I'm inspired, because truly, I do enjoy sharing my ideas with you. I know that I was running the monthly challenge. I'm not going to leave you hanging. By the end of this week, I will give you a list to complete the challenge. It will be broken down for each month. I would highly encourage you to continue with the challenge, if it seems to be helping you. I will not be having the organizing link party, following each challenge. Eventually I will share the rest of my photo organizing with you, but it'll be when I find the time to photograph it all and write up the post. Some of you are going to understand the changes that I need to make, and for that I'm forever grateful. Others are going to be disappointed, and for that I'm truly sorry. Thank you all for you loyalty and for understanding this lil' change that will be happening. I encourage you to keep following my blog, my pins on Pinterest, my Facebook page or subscribe via email to get my posts delivered directly to your inbox. I will still be sharing my ideas and hopefully inspiring some of you along the way, it'll just be a little less often.